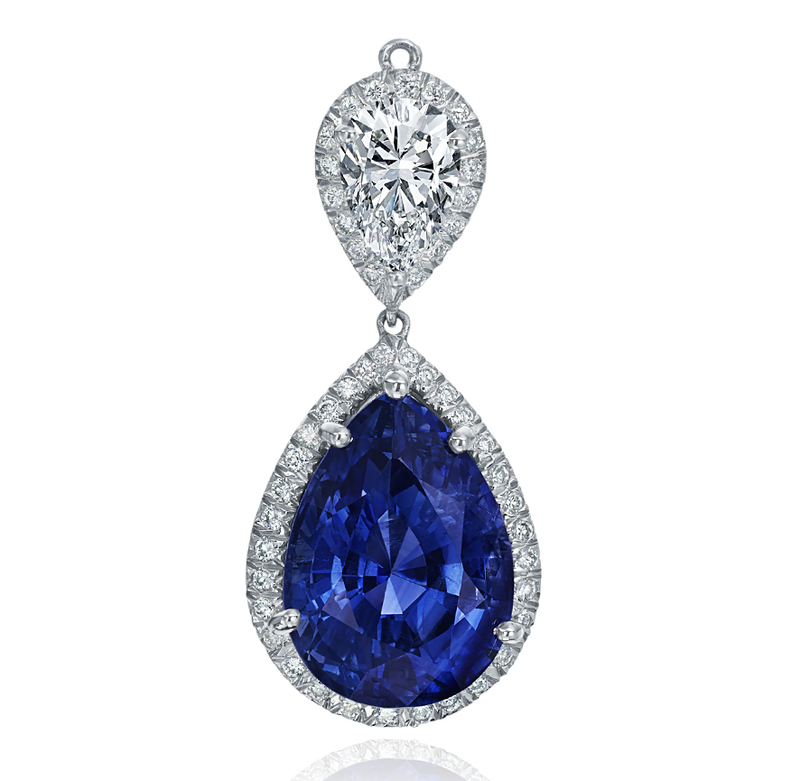 Pear Shaped Sapphire is 8.18ct, suspended from a 0.76 carat Pear Shape Diamond. Round Diamonds are 0.26ct in this fabulous drop pendant. Chain sold separately.